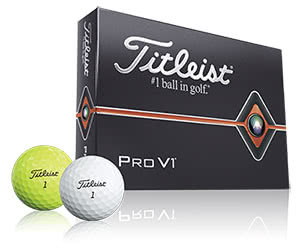 Titleist Unveils the Latest Versions of the Pro V1 and Pro V1x. For golfers looking to shoot their best scores, the 2019 Pro V1 golf ball provides total performance from tee to green. How do you improve on a ball that’s already performing? That was the task of Titleist engineers as they looked to improve the successful Pro V1 and Pro V1x ranges. What they discovered is probably not all that surprising. Golfers want more distance and control without sacrificing anything else. Featuring a more efficient design, the new Pro Vs have a reduced thickness cover. This has allowed for added speed whilst also retaining the spin and incredible control you’ve come to expect from your Pro V1 and Pro V1x golf ball. A new larger casing layer is a speed enhancing, spin optimising layer that helps power both balls for exceptional long game distance. The Pro Vs feature a new core that has been specifically engineered to offer more speed, less spin and the same great feel. All whilst maintaining their familiar feel characteristics and compression. In previous years, the Pro V1 and Pro V1x has been available in your standard white. This year both balls have also been manufactured in a new High Optic Yellow option. “As the demand for yellow Pro V1 and Pro V1x started to grow, our material scientists got to work on what we knew would be a significant R&D undertaking,” explain Mahoney. 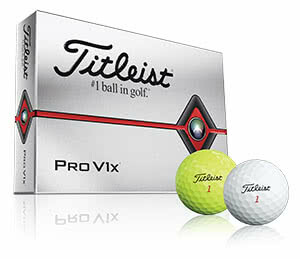 The new Pro V1 and Pro V1x balls from Titleist will be available to purchase at GolfOnline from mid-March.